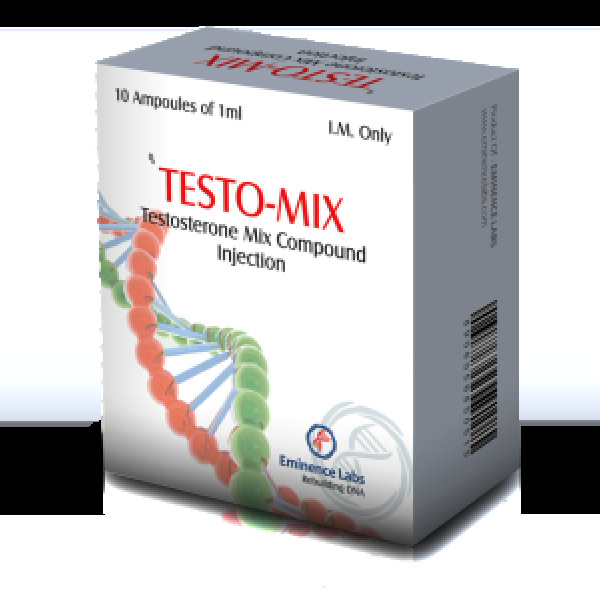 Since it is a strong mass preparation, Testomix Eminence Labs main effect is the acceleration of muscle tissue hypertrophy. At the same time, the course significantly increases the power characteristics. This is the main product produced by the body. And now about how to take Testomix Eminence Labs solo. For 1.5-2 months, you need to put between 250 and 500 milligrams of anabolic weekly. Note that this dose can be administered simultaneously or divided into two doses. More frequent injections will not increase the effectiveness of the course. This drug is not the most expensive anabolic, but it is very effective. If you want to buy it as profitably as possible, visit our online trading platform. The popularity of any drug says the number of reviews. There is no problem with this drug. If you want, you can quickly find the builders’ opinions about him. The most common side effects are related to the estrogenic activity of the steroid. To combat them, it is enough to use aromatase inhibitors. Androgenic side effects are rarely seen only in a small percentage of athletes. If you do not use the steroid for more than 10 weeks, then there will be no problems with the work of the pituitary axis. Otherwise, you will have to additionally use gonadotropin.